The Blue Lagoon is conveniently located near Keflavik International Airport. It lays on an 800-year-old lava field in Reykjanes Peninsula, which is a UNESCO Geo Park. The lagoon was formed in 1976 from waste water of the nearby power plant. People started bathing in it in the early 80‘s after its healing powers were popularized. It soon became very popular for people with skin diseases to soak in the lagoon as the geothermal seawater holds many nutrition’s. The lagoon was formally opened to the public in 1992. At that time there was just over 140.000 foreign travelers visiting Iceland. Therefore there were considerably more visits from the locals in Iceland then from foreign tourists. This has changed significantly in the last 25 years or so. If you visit the Blue Lagoon today, you will be lucky to stumble across a local. Over the years the foreign visitors in Iceland increased and so did the popularity of the Lagoon and the ticket price with it. The Blue Lagoon really became an international trademark when it was voted one of the 25 wonders of the world by National Geographic in 2012. 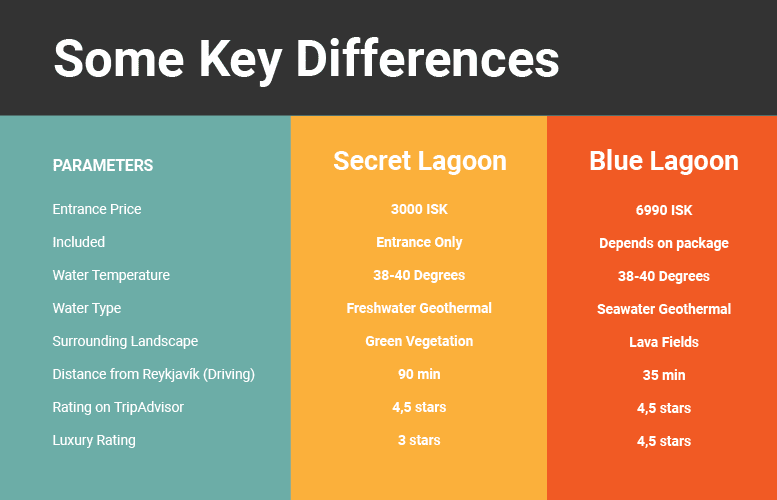 Many travelers are curious about the color and temperature of the Blue Lagoon. The color of the water is actually white due to the amounts of silica and algae in the water. As sunlight reflects on it comes blue in color as the silica molecules radiate more blue in the daylight than other colors. Today the Blue Lagoon is by far the most popular single attraction in Iceland. It includes a nice reception house build very tastefully complimenting the natural environment, decorated with lava and big glass windows. It also has a restaurant, café, spa and a luxurious hotel for those looking to indulge themselves. Due to its popularity, the Blue Lagoon has adopted a similar pricing and booking strategy as many airlines. The prices vary on demand (depending on the time of day you want to go) and you must book in advance. One last word of advice, as silica is pretty sticky and the Blue Lagoon has plenty of it, don’t dip your hair in the water, it will get very messy and it will take you a few days to get it back out. The Secret Lagoon is located at Fludir about 90 minutes’ drive from Reykjavik on the Golden Circle Route. The locals know it as Gamla Laugin (The old pool). 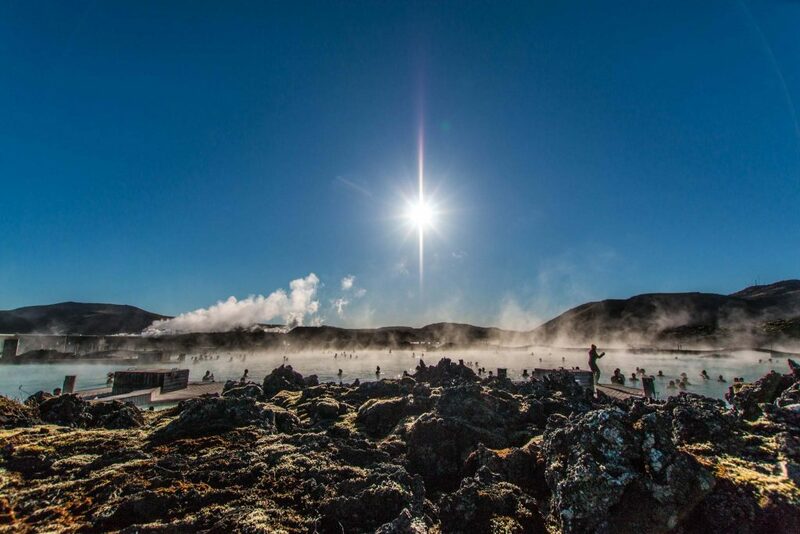 The lagoon is the oldest geothermal pool in Iceland established in 1891. A new swimming pool was opened at the town of Fludir in 1947 so the Secret Lagoon was pretty low key until a few years ago, hence the name. New facilities were recently built around the Secret Lagoon and now it’s not a secret anymore. You can purchase drinks and light snacks there as well as renting towels and swimsuit. You don’t need to book your Secret Lagoon tickets in advance. However, it’s highly recommended as it can get fully booked. As Iceland thermal pools goes, the Secret lagoon is pretty unique as the geothermal area in Fludir is quite powerful. In the area there has always been excessive hot water over the years for various use including bathing. There is a booming greenhouse industry at Fludir today, which is powered by geothermal energy. 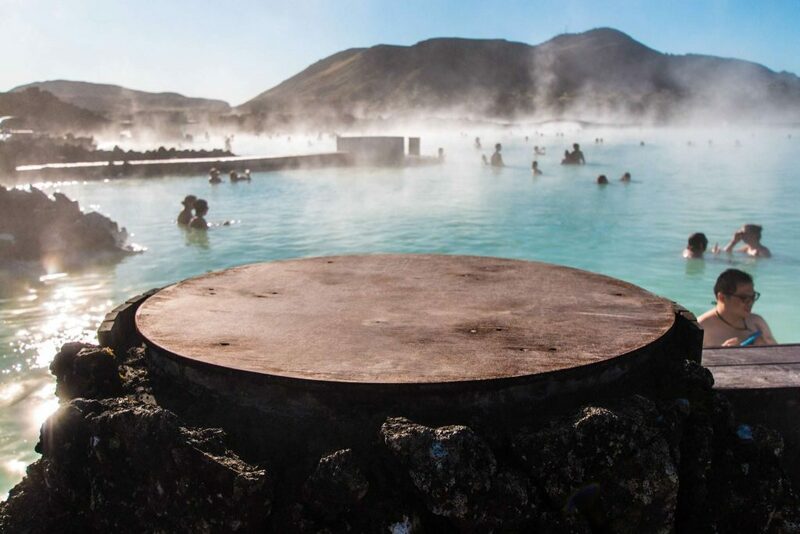 We hope that this article will help you decide which geothermal pool to choose in Iceland. 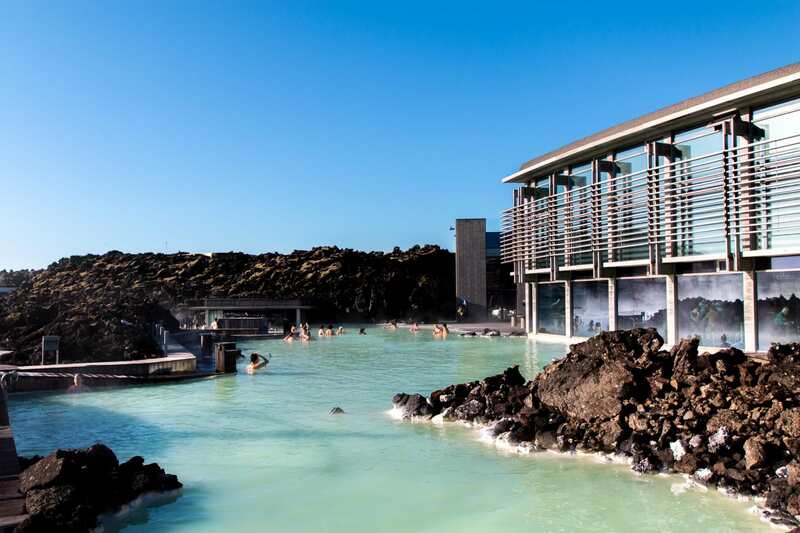 We recommend doing both the Blue Lagoon and the Secret Lagoon while in Iceland. They are very different from each other and are both quite unique. However, if you have to choice and only have time or money for one geothermal bath adventure, then you now have some of the key fact to base your decision on. If you like this blog than we would really appreciate a comment below!